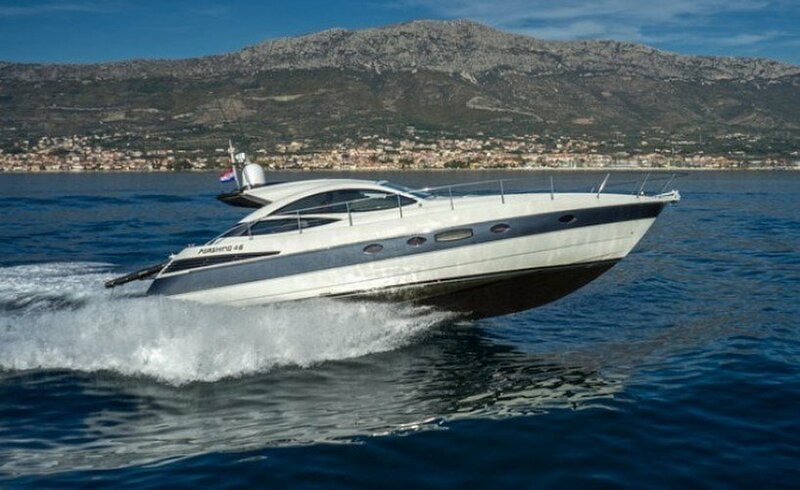 The Pershing 46 is a great example of perfect design and technology, combining a fantastic build quality, superb performance with a superior on board comfort. 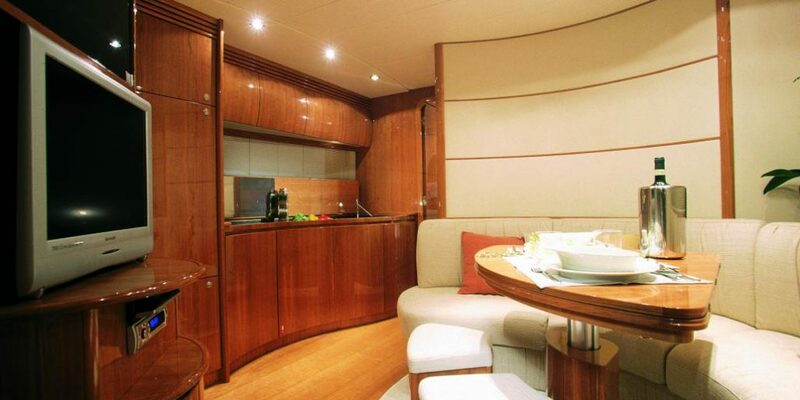 Elegant and refined, it is made for speed while retaining the elements of luxury and class. 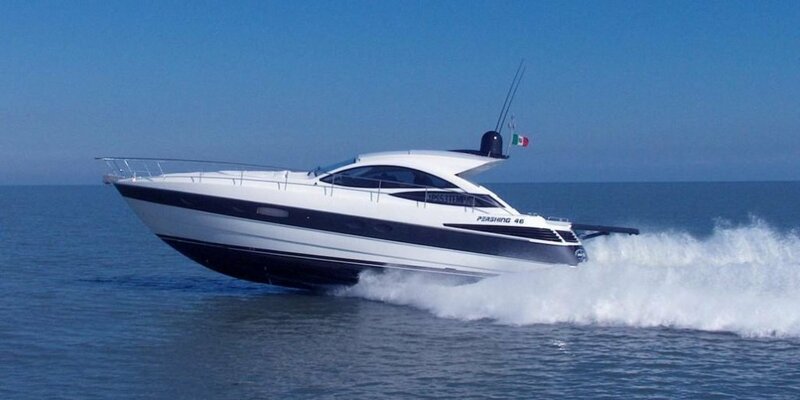 Utilizing space so cleverly, the Pershing 46 is also known for delivering exhilarating performances during tough weather conditions while giving the feeling of cruising in complete safety. 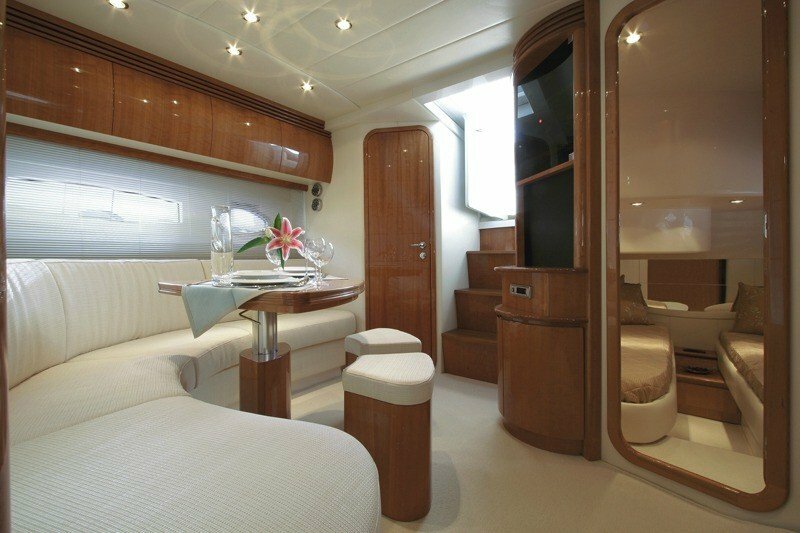 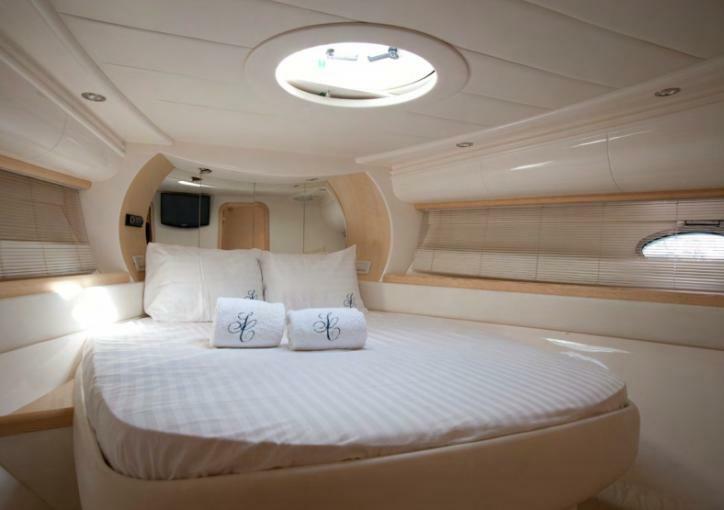 The spacious cabins with ensuite bathrooms feature a cutting edge design that maximizes comfort without sacrificing functionality.The stern sundeck houses a big and practical rear deck, a comfy bow sundeck and roomy cockpit, offering an exceptional standard of living comfort that is extremely difficult to find on boats of this size. 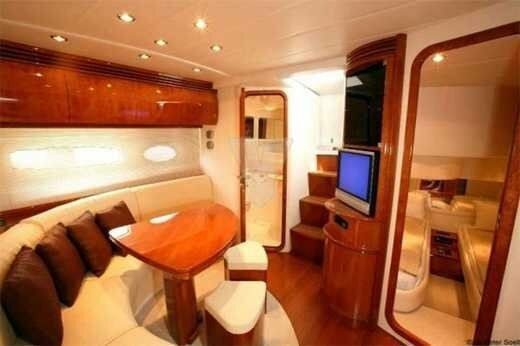 5 Flat screen TV s.